First introduced in 2008, the Audi R8 is one of the most desired cars today. The first "supercar" from Audi can surely go down as a timeless design. Now in its second generation the R8 somehow looks even better than before. Now offered only in a V10, the Audi R8 is no snail when it comes to power. 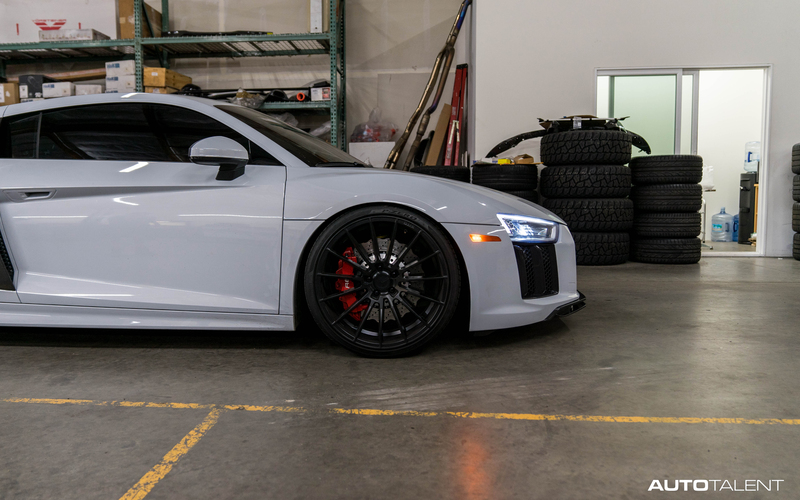 This R8 came in to achieve a lower stance to get rid of the wheel gap after installing a new set of Zito wheels. We went ahead and ordered the KW suspension HAS (Height Adjustable Spring) kit. Part # on this specific kit is 253100AN. Since the springs are height adjustable the drop range (front &rear) is .2 to 1 inch. 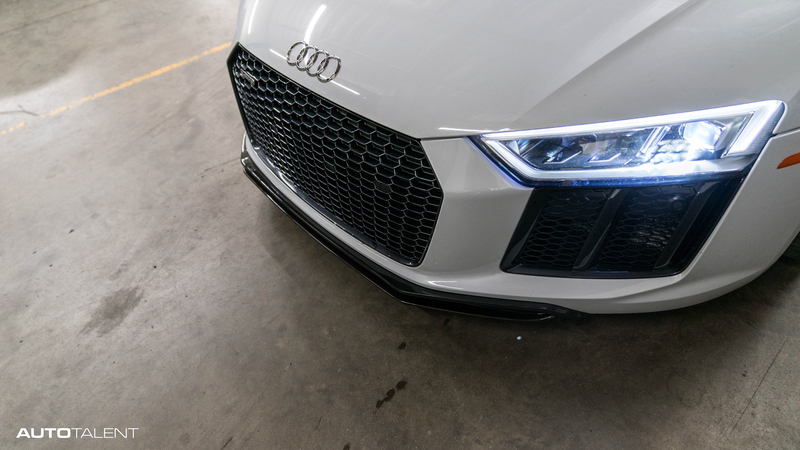 Please contact us with any questions or if you are interested in purchasing a set for your R8!